19.89mm x 18.57mm / 0.783in. x 0.731in. 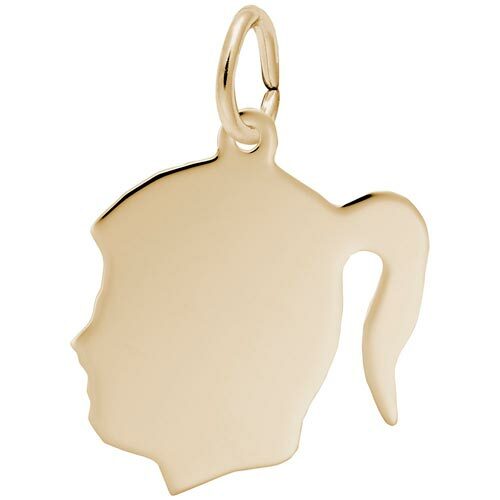 High Polished Front and Back Flat Girl's Head Charm by Rembrandt Charms. The height is 3/4 of an inch. Keep her closer than ever by engraving her names and birthdate on Flat Girl's Head Charm. The matching boy's silhouette charm is style 4429.